Lake Walk In Water, also known as Lake Weohyakapka, is a 7,528 acre natural lake located roughly 10 miles east of Lake Wales Florida. 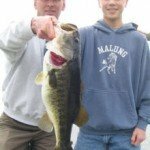 Lake Walk In Water is nationally known for largemouth bass and its great fishing. This lake had suffered badly at one point due to over fishing and harvesting of the bass, until the state of Florida Fish and Game imposed a strict catch and release program. Bass measuring 15 to 24 inches must be released alive immediately. Anglers are allowed a 3 bass limit of all must be less than 15 inches, or 2 bass smaller than 15 inches and 1 bass over 24 inches. These regulations has helped this great body of water bounce back and once again become a great bass fishery. Currently there is very little hydrilla in the lake due to all the storms of 2004. 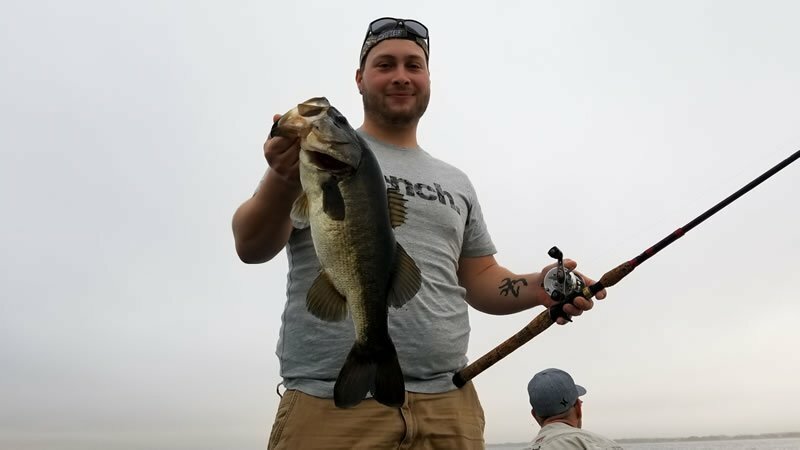 There are a few areas where the hydrilla is making a come back, which, if kept under control can only make the bass fishing on this lake even better. Cover along the shoreline includes plenty of Cattails, Bulrush and Kissimmee grass, which has been the targeted areas for some of the best fishing action. Maximum depth of the lake runs 12 feet deep, with a few limited pockets of deeper water, but not much deeper. Scattered off shore submerged vegetation is always a great key to catching trophy bass out here, with typical bass close to 4 pounds not uncommon, and several showing up as of late closer to 10 pounds. Live bait as usual has been the hot ticket for catching bass of size and numbers, but artificial baits such as Rattle Traps, Spinner Baits and flipping various soft plastic baits will catch some good bass, along with some top water baits mixed in, this lake has made the come back that everyone knew it would. Days of high winds can limit you to select fishing areas on this lake, as it is almost basically bowl shaped and wide open. Never the less, when the winds are up and howling, this lake can still produce some great catches. Key areas of target would of course be shoreline vegetation in calmer areas, this was a tactic used by myself in the early part of 2006 on high wind days, and it always paid off with good catches and happy clients. 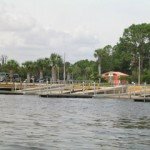 County boat ramp is located at the end of Boat Landing Road, with some parking to accommodate a few, with the over flow parking along the road once the parking area is filled up. Florida additional information and top professional fishing guides click here!